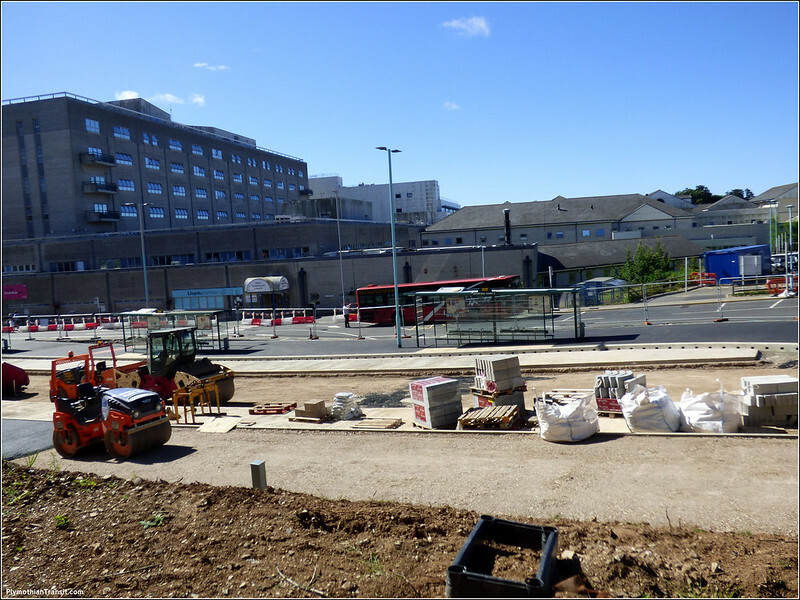 Taken this week, we see the new road in use with its nice new bus stop layout. 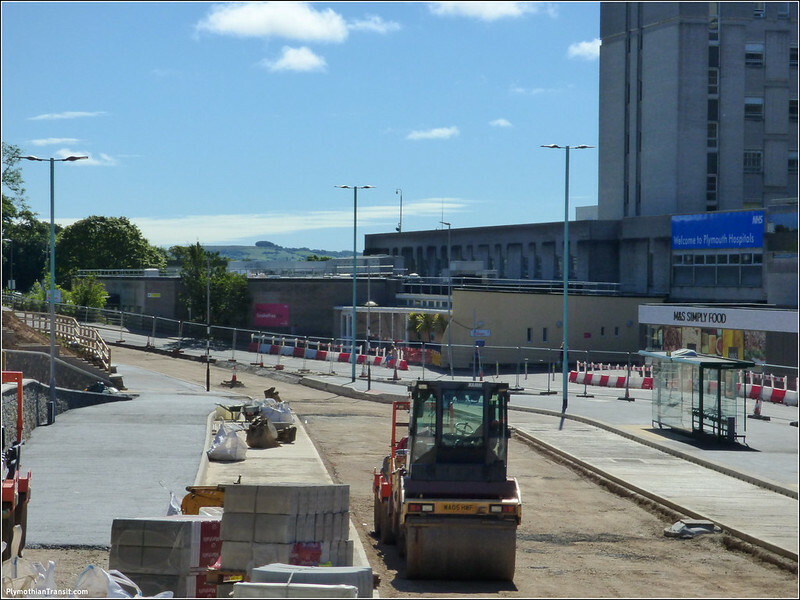 Its still a temporary layout as buses are still only one way so just the stops here on the right are in use. At the moment this is still quite a bit less space than the old road layout so buses are still bunched up and double parked but there is generally plenty of room for this to happen at the moment. 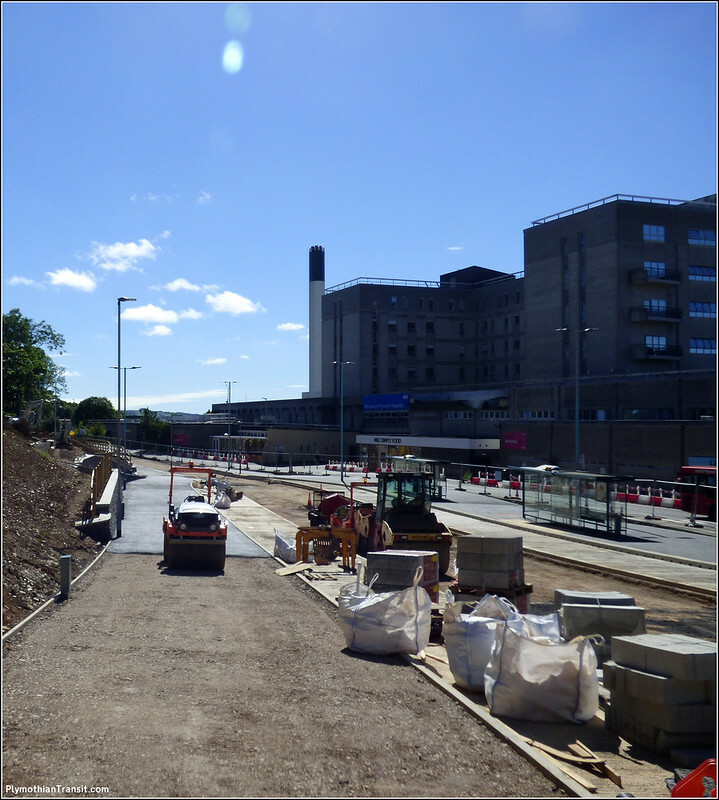 The old road to the right of the new stops is now being ripped up and a new layout put in place. 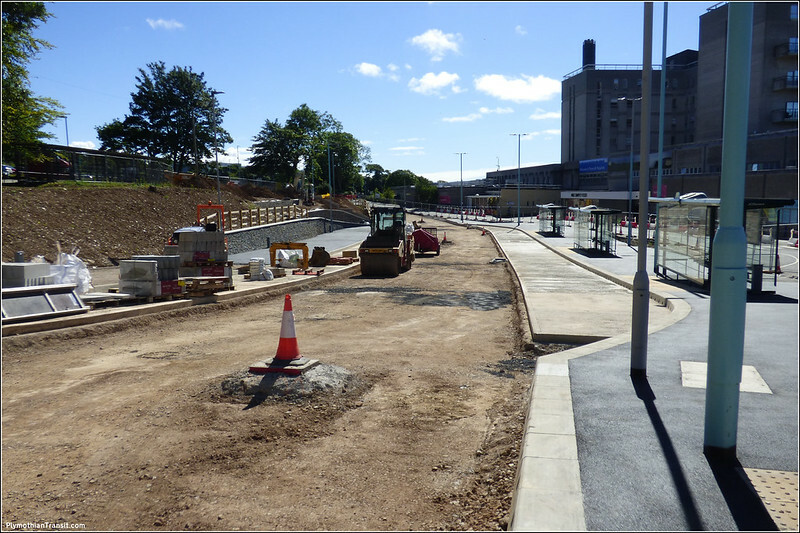 Once this is ready then the full scheme with buses in both directions will take effect. The lack of any shelters on the left will be noted and is hopefully going to be sorted shortly. I hope part of the plan is to move the stop where arriving passengers get off - the one on the slope is quite difficult for people in a wheelchair. 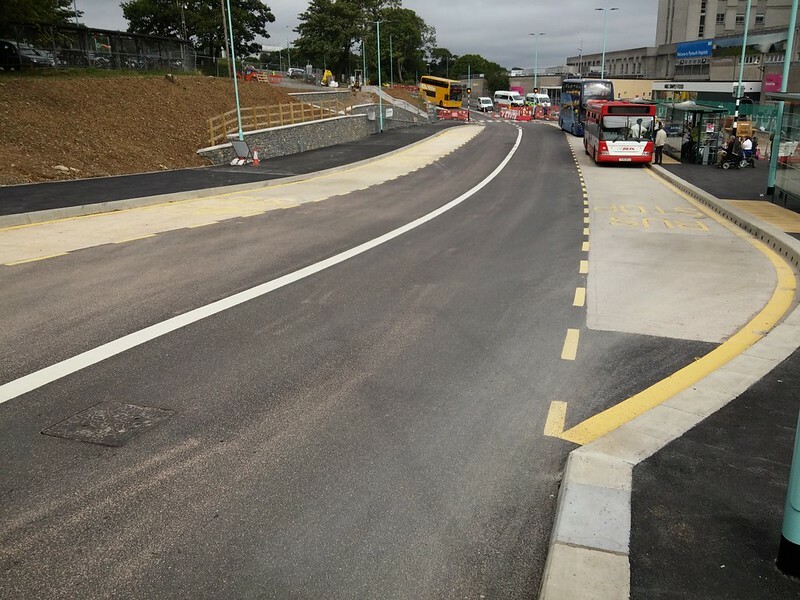 I hope all the stops are being provided with raised kerbs, too - there are now raised kerbs all over the city except for the two busiest stops, Derriford and Royal Parade. That's got to be a first. 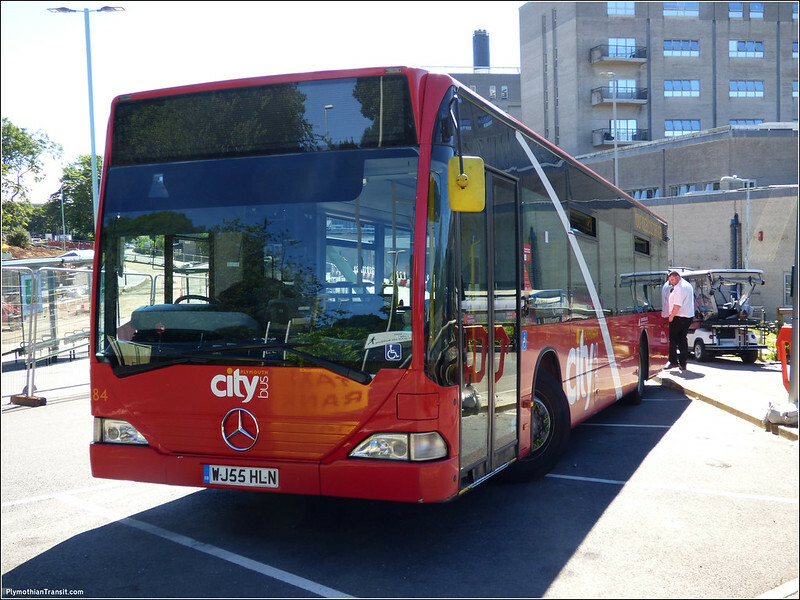 A new bus station that's bigger than the one its replacing! I wonder if ther is any truth in this, remember the recent preserved Dart 42 saga.